Optimizing liver function helps ensure the body can effectively rid itself of pollutants, heavy metals and various other toxins. Supporting liver health is paramount to our health and well-being. It becomes especially important as we age because liver function naturally declines. Herbs and nutraceuticals that improve liver health can help ensure it is working at peak capacity and no toxins slip through and damage our cells. Environmental toxins are a major concern in our modern world, and sadly they are unavoidable. Pesticides and other pollutants sprayed on crops don’t just affect the food we eat, they contaminate the air we breath and leach into our drinking water. Even when choosing organically grown crops, the soil is almost always contaminated with these harmful chemicals, organic soil is becoming a rare commodity. Our body cannot keep up with the increasing toxic burden of our world. Environmental toxins aside, it also has to deal with the endogenous toxins that are a byproduct of cellular energy production. Pharmaceutical medications can also impair liver function, with an enormous amount of the population taking some sort of medication, if not many, this is a problem. Eating healthy is important for our health, but it isn’t enough to maintain optimal liver and cellular function anymore. The foods we eat just don’t contain the same nutritional value as they did even 50 years ago, making it virtually impossible to achieve the recommended nutritional intake through diet alone. This is where supplements come in, they have become a necessity in this day and age. This sulfur-rich antioxidant has been used to aid liver function for decades. Commonly used to treat acute acetaminophen poisoning, N acetyl-L-cysteine (NAC) can significantly enhance glutathione levels in the liver. One study done in 2009 found that when animals had part of their liver removed, NAC helped stimulate the regeneration of healthy liver cells. This means that NAC not only improves antioxidant status in the liver, but can actually regenerate liver tissue. The most abundant and important antioxidant found in our body, and in the cells of any living thing on the planet. Glutathione (GSH) is essential in order to maintain immune function and combat oxidative stress levels. Because glutathione is our body’s master detoxifier, it is no surprise that the majority of it is found in our liver. Glutathione levels start to drop once we reach adulthood (age 20 or so), and it is further depleted as our toxic load becomes too great. Our body uses up its glutathione stores in order to protect itself from exogenous threats as well as endogenous toxins. Maintaining high glutathione levels is one of the most important things you can do to maintain optimal health throughout the aging process and ensure your body is equipped to defend against disease and infection. Supporting liver function and detoxification, milk thistle extract is a powerful antioxidant and anti-inflammatory ingredient. Much like N acetyl-L-cysteine, milk thistle extract can help healthy liver cells regenerate and protect against future damage. Milk thistle helps protect our liver and body from the constant bombardment of toxins we face each day. It can even help counter acute toxicity brought on by pharmaceuticals and mycotoxins. 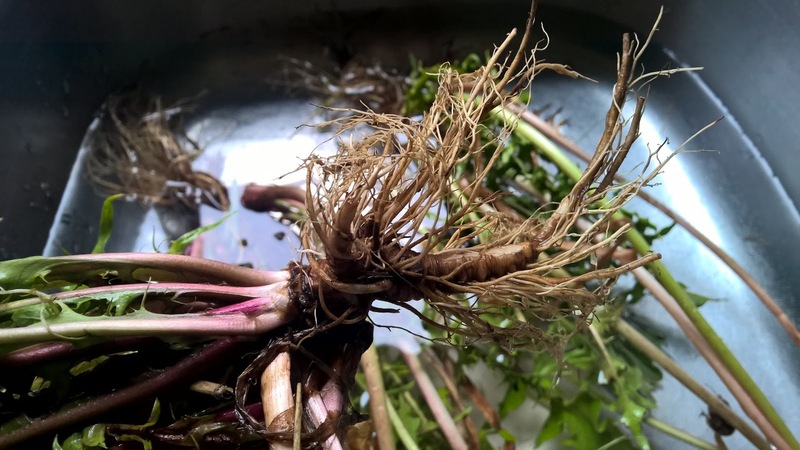 In the past, dandelion roots and leaves were used to treat liver problems. Native Americans also boiled dandelion in water and took it to treat kidney disease, swelling, skin problems, heartburn, and upset stomach. In traditional Chinese medicine, dandelion has been used to treat stomach problems, appendicitis, and breast problems, such as inflammation or lack of milk flow. In Europe, it was used in remedies for fever, boils, eye problems, diabetes, and diarrhea. A licorice root extract called glycyrrhizin has also shown promise as a possible remedy for chronic hepatitis C and liver cancer, says University of California, Davis, researcher Mark Zern, MD. The supplements are available as teas, capsules, tablets and liquid extracts and contain glycyrrhizin, the biologically active component of licorice — deglycyrrhizinated licorice — a derivative of glycyrrhizin with fewer side effects. The appropriate dose and form of licorice may be different in different individuals. A naturopathic doctor may help establish a regimen that will work for you, depending on your age, family history, allergies and overall health. This is a favorite blood purifier among Ayurvedic Physicians. Few herbs are more widely used than burdock root for detoxifying the liver. British herbalists use it specifically for eruptions of the head, face, and neck, and esteem the root for just about any liver toxicity condition, including eczema, psoriasis, and boils. A member of the daisy family, burdock is loaded with anti-inflammatory compounds, including flavonoids, lignins, and bitter glycosides. In a series of studies, scientists in Taiwan recently confirmed the powerful liver-protective effects of burdock. This mineral also plays a role in our body’s glutathione levels as it is directly involved in the methylation cycle. Recycling antioxidants in the body and aiding in the detoxification process. Selenium is important for our liver health, partially due to its ability to enhance glutathione levels. Studies have found that taking a selenium supplement regularly can help reduce the risk of developing liver cancer and protects against liver damage. Jeffrey Sutton is the founder of GSH Gold, an antioxidant supplement that helps improve liver health and immune function. Author of the book “The Master Antioxidant – Glutathione”, Mr. Sutton has spent much of his career exploring the importance of glutathione.